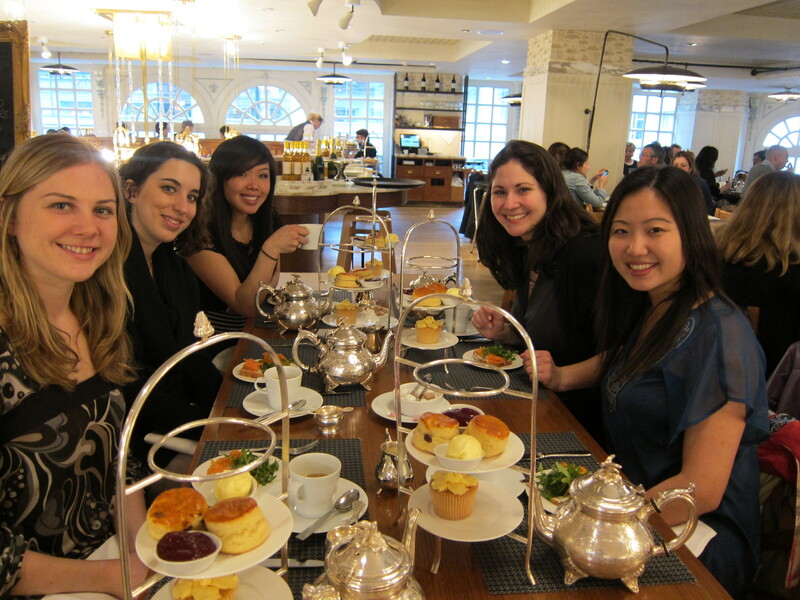 While in London, I insisted that my friends and I have afternoon tea. After a traditional English roast for lunch, my friends took me on a mini-walking tour of the city that included a stop to the famous Harrod’s department store and tea at Fortnum & Mason in Picadilly Circus. All day, my gracious host Lisa raved about Kooky Bakes who makes whoopie pies, and sells them at the Sunday UpMarket in London. Unfortunately, with our packed day, we missed the market and I won’t be here next Sunday. So I decided to try one at Harrods. Apparently, a whoopie pie is an American dessert, although I, nor my friend Lisa, had heard of it before coming to London. Basically, it’s a cake-and-frosting sandwich. What’s not to love? While the whoopie pie was good, it wasn’t amazing. 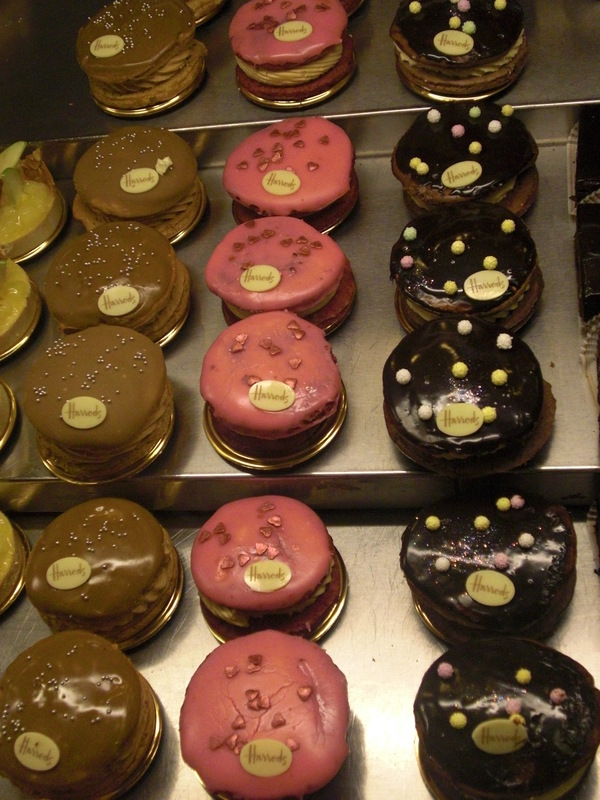 If you have the chance, definitely track down Kooky Bakes, or even try a whoopie pie from the neighborhood bakery. Then, it was tea time! 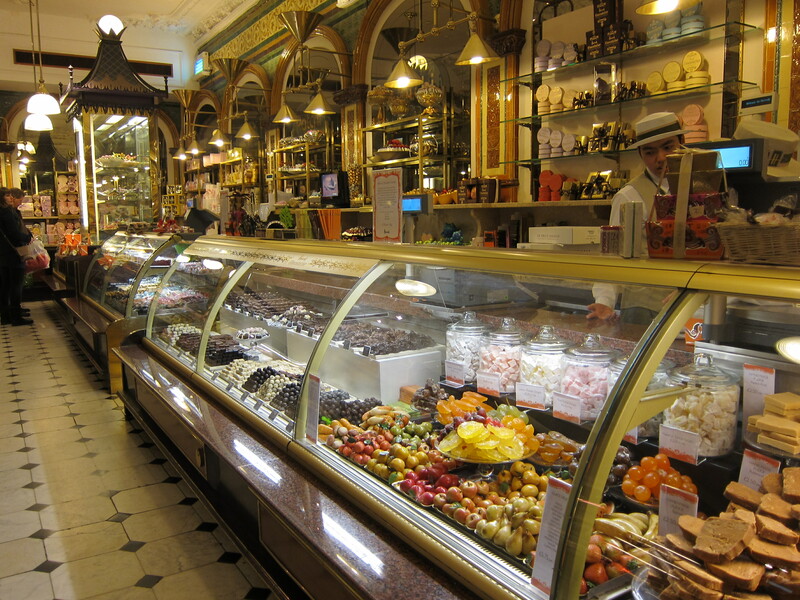 Fortnum & Mason is located in Picadilly Circus, a popular stop for tourists in London. 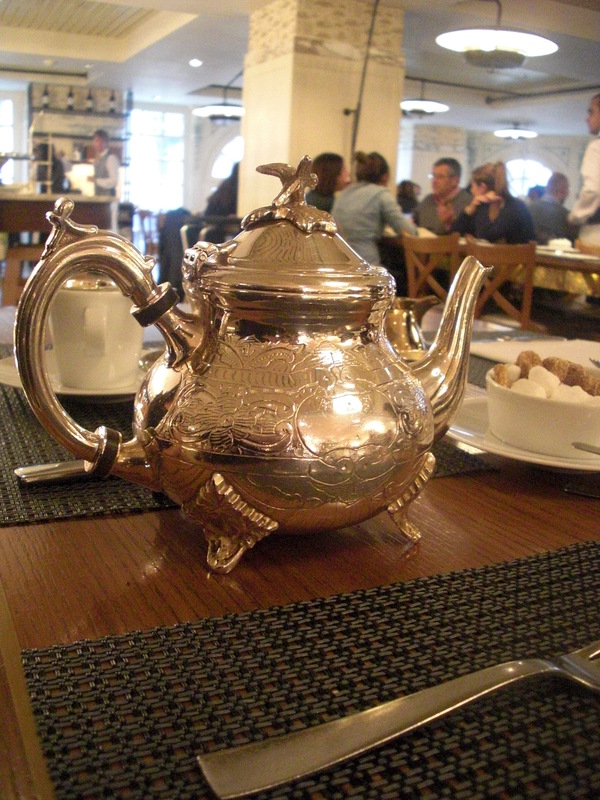 It is also the perfect place to get your top-notch loose tea, teapots, and beautiful china. My friends and I opted for a simple afternoon tea, with smoked salmon sandwiches, scones and clotted cream. Scones with cream and jam are a tea staple. During this tea, we got one plain scone and one with raisins. 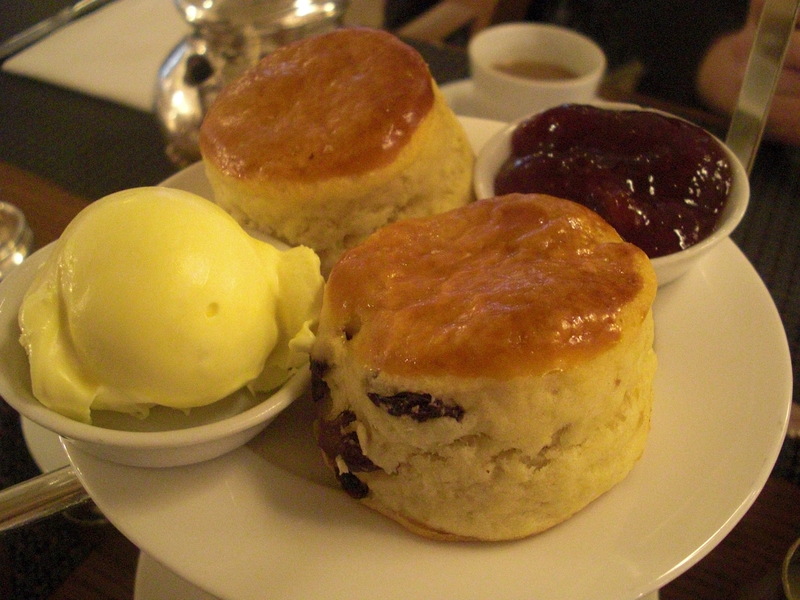 When the scones were served, they were still warm and glistening from being freshly baked. I am definitely adding scones to my “to bake” list when I get home. This wonderful tea experience led me straight to Yelp to find any places in Boston that have a tea service. If anyone has found a great location, please add your comments. On tomorrow’s agenda: Hummingbird Bakery in Nottinghill for some cupcakes. Can’t wait!